Chandrababu Naidu has given an offer that the Congress Party cannot refuse. Out of power in most parts of the country, the Congress is now starved of funds and is finding it very difficult to pool up money to fight elections in all-important Telangana. Realising the Congress predicament, TDP boss Chandrababu Naidu has offered to fund their whole election expenses. He reportedly offered Rs 200 crore for the Congress Party's elelectioneering. This money will help the Congress take on the TRS in Telangana. This is not the first time that Chandrababu Naidu has funded the Congress. He reportedly sent boxes full of money to the Congress Party in Gujarat. He wanted to wreak vengeance on the BJP in general and Narendra Modi in particular. It is another matter that this has failed to defeat the BJP. Also, Chandrababu Naidu has allegedly funded HD Kumaraswamy and the Congress to defeat the BJP in Karnataka. But, he has only one condition. He wants more seats in Telangana, where he is contesting in association with the Congress in the upcoming elections. The Congress, which is smelling victory this time around, wants 90 seats. It wants the TDP, CPI and the TJS of Prof Kodandaram to be content and share the remaining 29 seats. But, TDP feels it deserves at least 25 seats. It has assured to support the Congress in the event of the latter not getting absolute majority. Can the Congress refuse Chandrababu's bait? 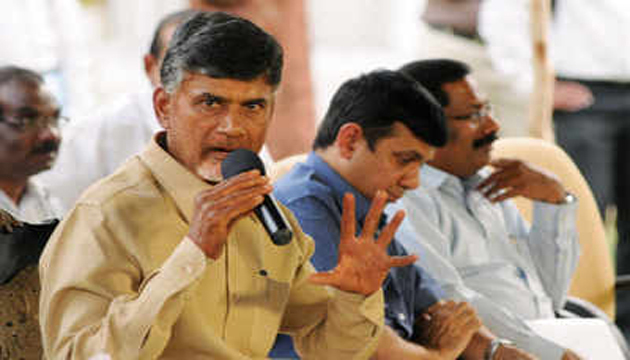 Will it be ready to forego Rs 200 crore from the the TDP? Well! We must say the story is getting more and more exciting in Telangana by each passing day!! Movie Review: Shailaja Reddy Alludu!